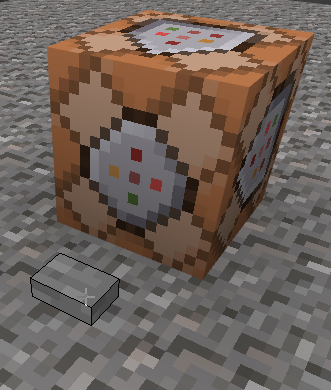 Second one is still simple as I am new to all this Command block stuff. This time we shall summon some cool stuff. 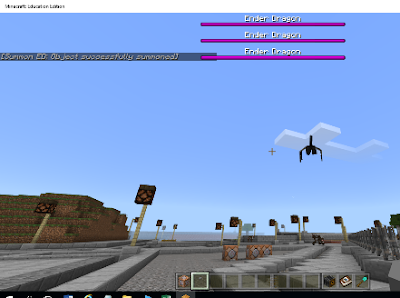 Step 1: Load a new game and enable cheats before the world loads. Select 't' on the keyboard and type in the below command to allocate a command block in your inventory. Step 2: Select 't' on the keyboard and type in the below command to allocate a button stone or wooden in your inventory. 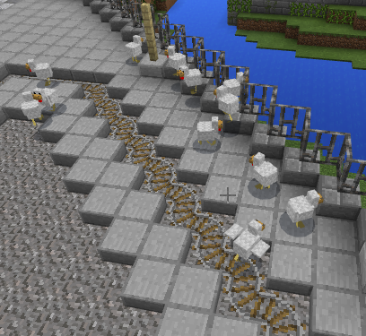 Step 3: Put a button down and command block. 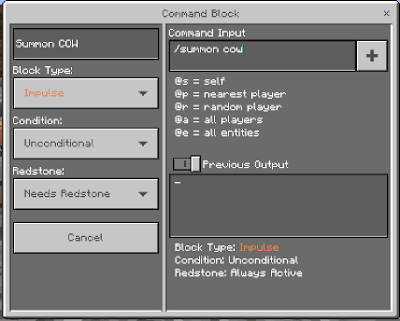 Step 4: Right click on command block and type in the following instructions. Step 5: Whack the button by clicking the right button on the mouse. 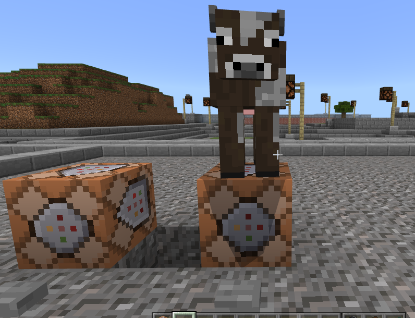 You should see your newest pet appear, lets call her 'beefy'. 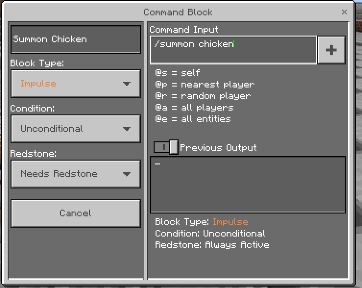 Step 6: Right click on command block and type in the following instructions. Step 7: Whack the button by clicking the right button on the mouse. You should see your newest pet appear, lets call her 'Ed'. What do you notice happens when Ed is summoned? Step 8: Right click on command block and type in the following instructions. Step 9: Whack the button by clicking the right button on the mouse. You should see your newest pets appear. I got a little trigger happy. M:EE MakeCode blog 4 "Wool Wall"
M:EE Make Code blog 2: Get coding. M:EE Make Code blog 1: Getting started.